A new study appearing in the journal CHEST®, published by Elsevier, may change the way we think about sleep disorders. In this study led by Dr. Luciano F. Drager, obstructive sleep apnea (OSA) and short sleep duration (SSD) were compared with excessive daytime sleepiness; anxiety/depressive symptoms; and several cardiometabolic risk factors including obesity, hypertension, diabetes and dyslipidemia. Using a large sample of adults, investigators found that SSD, but not OSA, was independently associated with daytime sleepiness. In contrast, OSA, but not SSD, was independently associated with obesity, hypertension, and dyslipidemia. Neither was independently associated with anxiety or depression. Data came from close to 2,100 participants from the cross-sectional Brazilian Longitudinal Study of Adult Health (ELSA-Brasil), a long-term study of Brazilian civil servants (ages 35 to 74 years) that aims to help investigators learn about the development and progression of clinical and subclinical chronic diseases. Participants were not referred for sleep studies and anyone being treated for OSA, receiving sleep-interfering medications, or engaged in nocturnal or shift work was excluded. More sleep disorders were identified in patients studied than anticipated, including almost one third with OSA. More than one quarter of participants had SSD, meaning that they slept on average less than six hours a night. A significant overlap of about 11 percent of the patients manifested both OSA and SSD, although no interaction was found between OSA and SSD. Associations of OSA and SSD with excessive daytime sleepiness, cardiometabolic risk factors, and anxiety/depressive symptoms. Abbreviation: HTN, systemic arterial hypertension. Blue arrows indicate a statistically significant association, red arrows indicate lack of significant association, and yellow arrows indicate a trend for association. 1Significant association only on unadjusted models. 2Significant association only in models without the inclusion of OSA. The study reported some findings that are contrary to traditional thinking. For instance, because this study measured sleep duration objectively with a device (wrist actigraphy over a seven-day period), rather than relying on patient self-reporting, the investigators found more people with inappropriate sleep durations than commonly thought. “In this study, only one quarter of participants slept seven to eight hours on average, the most highly recommended sleep duration for middle-aged adults,” said Dr. Drager. While individuals with SSD were more likely to report excessive sleepiness during the daytime, SSD was not associated with obesity, hypertension, or dyslipidemia. Another surprising finding was that OSA was not associated with excessive daytime sleepiness, even if OSA was severe. However, OSA was, associated with obesity, hypertension, and dyslipidemia, but not with anxiety or depression. In subgroup analysis, obesity was associated with all levels of OSA severity, but only severe OSA was associated with hypertension. “Our findings do not mean that OSA never causes sleepiness, but in clinical practice a significant proportion of patients with OSA are asymptomatic or minimally symptomatic,” noted Dr. Drager. Dr. Drager suggests that in previous studies any positive associations found between SSD and cardiometabolic risk factors could have been due to “occult” (non-apparent) OSA. “The additional lack of association of SSD with obesity, dyslipidemia, and diabetes in our large cohort reinforces the potential need to reappraise the evidence on subjective SSD and cardiometabolic risk factors,” commented Dr. Drager. The article is “OSA, Short Sleep Duration, and Their Interactions With Sleepiness and Cardiometabolic Risk Factors in Adults: The ELSA-Brasil Study,” by Luciano F. Drager, MD, PhD; Ronaldo B. Santos, PT; Wagner A. Silva, PT; Barbara K. Parise, RN; Soraya Giatti, PT; Aline N. Aielo, PT; Silvana P. Souza, MD; Sofia F. Furlan, PhD; Geraldo Lorenzi-Filho, MD, PhD; Paulo A. Lotufo, MD, PhD; and Isabela M. Bensenor, MD, PhD (https://doi.org/10.1016/j.chest.2018.12.003). 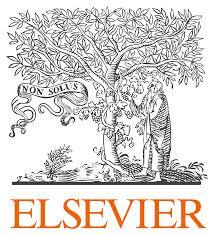 It appears in the journal CHEST®, published by Elsevier. This study was supported by a research grant from FAPESP (2012/02953-2). The ELSA-Brasil study was supported by the Brazilian Ministry of Health (Science and Technology Department) and the Brazilian Ministry of Science and Technology (Financiadora de Estudos e Projetos and CNPq National Research Council) (grants 01 06 0010.00 RS, 01 06 0212.00 BA, 01 06 0300.00 ES, 01 06 0278.00 MG, 01 06 0115.00 SP, and 01 06 0071.00 RJ). About the journal CHEST® The journal CHEST, the official publication of the American College of Chest Physicians®, features the best in peer-reviewed, cutting-edge original research in the multidisciplinary specialties of chest medicine: pulmonary, critical care, and sleep medicine; thoracic surgery; cardiorespiratory interactions; and related disciplines. Published since 1935, it is home to the highly regarded clinical practice guidelines and consensus statements. Readers find the latest research posted in the Online First section each week and access series that provide insight into relevant clinical areas, such as Recent Advances in Chest Medicine; Topics in Practice Management; Pulmonary, Critical Care, and Sleep Pearls; Ultrasound Corner; Chest Imaging and Pathology for Clinicians; and Contemporary Reviews. Point/Counterpoint Editorials and the CHEST Podcasts address controversial issues, fostering discussion among physicians. Access the journal CHEST online at chestjournal.org. CHEST is the global leader in prevention, diagnosis, and treatment of chest diseases. Its mission is to champion advanced clinical practice, education, communication, and research in chest medicine. It serves as an essential connection to clinical knowledge and resources for its 19,000+ members from around the world who provide patient care in pulmonary, critical care, and sleep medicine. For information about the American College of Chest Physicians and its flagship journal CHEST®, visit chestnet.org.